Ukraine between the European and Customs Unions: What Will Be the Choice? The enhanced Eastern vector of Ukrainian policy yet more likely misleads, rather then gives a direct reply – where does Ukraine go? Ukrainian authorities still haven’t given a direct answer, on what conditions and when the country is ready to join the Customs Union suggested by Russia. Together with that, the most significant priority of Ukrainian foreign policy in the beginning of June was called European integration. So will Ukraine join any of the two or it will remain within a “grey area” for many years forward? We present an interview with the member of Expert Council of Strategic Culture Foundation, PhD Viktor Pirozhenko (Kiev) on this issue. - How do you assess the level of dialogue Ukraine – the EU, reached from the beginning of Yanukovich ruling? - Nothing principally new has happened within Ukraine-EU relations. Ukraine hasn’t got even slightly closer to the EU standards (yet we leave the issue on the expediency of such changes behind). Objectively developed and existing institutional structures, as well as the culture of populations and household traditions don’t let Ukraine now and won’t let in future, allegedly, to join the EU. The exhaustion of the EU authorities from Ukraine, which had accumulated during the previous years of humiliating and annoying begging for the membership, hasn’t gone anywhere. Structural reforms, designed by the Party of Regions, that conceptually should get Ukraine closer to the membership, won’t give the satisfactory result soon even in case of success. And if they demonstratively show the success before the EU inspection, instead of making a real benefit for the economy of the country and its state-political establishment, then everything will only be a senseless imitation. At the moment the level of benevolence within the relations Ukraine – the EU depends directly on the level of Ukrainian restraint of the attempts of membership. The fewer joint requests to the EU authorities on a clear description of any Euro-prospects and so on, and the more definite projects of cooperation within individual production industries, the more benevolent will be the dialogue with the EU. - More economically perspective for Ukraine is the status of an associated membership (the enhancement of the partnership level) in the EU or the establishment of a single economic area with Russia (let us imagine, how these two variants would mutually exclude one another)? - Naturally, more perspective for Ukraine is the integration into a single economic area with Russia first of all. Only this guarantees the rehabilitation of technologic production networks and economic specialization, for the purpose of which the economy of Ukraine was developed initially, from the moment of industrialization and even earlier since 60-s – 90-s of the XIX century. The issue of technical upgrading can also be solved only on this ground together with Russia. Ukrainian membership in the EU initially can’t assure the equality of economic and political conditions for our country. This issue is more likely connected not with the compliance with some Euro-standards (this is urgent, but not enough for the membership), but the readiness of Ukraine to join already existing in the EU division of labor, taking its place within economic specialization in the frameworks of the joint EU market. 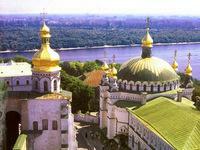 This place will be an a priori discrimination for Ukraine. Ukraine will have to destroy total industries, which do not fit the structure of economy and markets of the European Union. And exactly these industries made Ukraine in times of the USSR one of the most developed republics in the USSR as well as in Europe in general. While accomplishing the demands of the EU membership, Ukrainian government being adequate to state interests (and the current power of the Party of Regions is quite adequate) will start realizing, that the kind of situation development is absolutely unacceptable for it and for the country in general. As, ultimately, Ukraine will lose even a relative economic self-sufficiency. The Chinese wall on the way of Ukraine to the EU membership is the existence of a big capital in the Ukraine, which is mainly focused in the arms of the Party of Regions members. There is a persistent opinion, that Ukrainian big capital will remain for a long time a source of grey and illegal schemes, and if they give it to the EU states (especially west European), it will be able to break the standards of business, social stability developed in Europe and even worse – try to influence the strategic political configuration in this state. There are reasons to think that until there are big financial-industrial groups in Ukraine with grey structure of ownership, able to compete with European or American TNC, Ukraine will never join the EU. The problem is that these financial-industrial groups are more or less capable of keeping Ukrainian economy efficient and even assure some development of definite industries, there is no sense to destroy them. This is a paradox. The more Ukraine corresponds to the European standards in economy, education, quality of life and so on, the more unacceptable it will be for the EU, as it won’t be able to fit the developed European division of labor on subordinate conditions. - What are the chances of Ukraine to get stuck in a “grey area” between the EU and Customs Union? - The chances are really high, as Ukraine is already in this area. It stands between two powerful economic centers, with each of which it has to cooperate on common ground without any preferences and discounts. The discounts on Russian gas are more like exceptions, and it is a temporary one, given on special conditions, about which told the Chairman of the Russian Federation government V. Putin. With the commissioning of North and South Streams Ukraine will lose the exceptional transit status (for hydro carbons transportation), which all the years after the USSR collapse fed Ukrainian state and big business. This is an issue of time and is already predetermined. It could compensate the accompanying loses by the receipt of preferential conditions in energy and other industries of cooperation within the Customs Union (CU) framework, but it won’t do that, as it refused to join it. It won’t join the EU due to the abovementioned reasons. In general, it’s more important for the European Union to keep the former USSR states – the members of the “Eastern Partnership” program from the joining to the Customs Union, rather than assist them to join the EU. It won’t be able to participate in either of long-term projects in the CU or the EU. Ukraine could joint the process of the development of the CU activity rules on equal conditions, but it has already lost the moment. Equal partnership with the EU is impossible due to a big economic incompliance. The existence within a “grey area” will only worsen economic retard of Ukraine.